I'm mixing it up. Showing people you can design other items for boutiques and not only fashion. You can design 3 cakes. 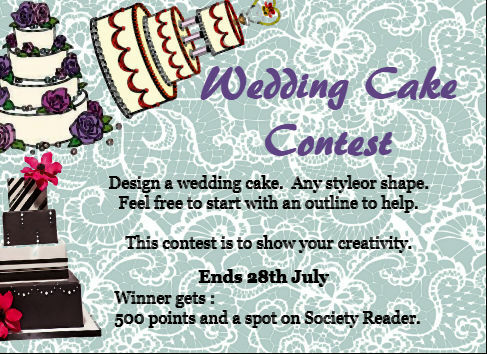 The winner will have a page showcasing something about their designs on SR. Plus cake bought for 500 points. (you can start your design with an outline, simply search for one on the internet and you can add patterns from internet like lace, its about the more creative design). Just whispers creativity really is unique.